The film, Whoever Heard of a Black Artist? Britain’s Hidden Art History is a BBC Studios film for BBC Four, and was aired on Monday 30 July. It explores the rarely told, fascinating history of Britain’s artists of African and Asian descent, whose contribution to British art history remained unrecognised for decades. It pays homage to a collection of artists whose work is currently on display at the Manchester Art Gallery. The film’s title is taken from archive footage of a small group of artists who organised ‘The First National Black Art Convention’ in Wolverhampton in 1982, a group that included Middlesex Associate Professor, Keith Piper. The Black Artists And Modernism research project is led by Sonia Boyce and University of the Arts London, in collaboration with Middlesex University London and funded by the Arts and Humanities Research Council. 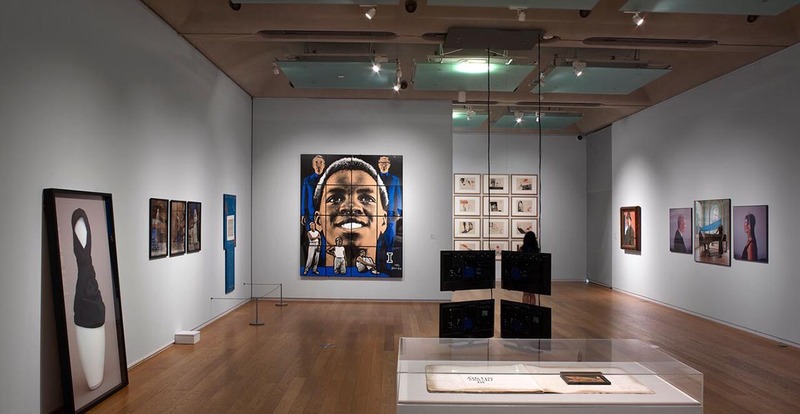 As part of the project, Sonia Boyce and her team, including Middlesex Associate Professor in Fine Art Dr susan pui san lok have spent three years scouring Britain's public art archives to find out just how many artworks by artists of African and Asian descent the nation really owns. Discovering nearly 2000 that, despite their public ownership have rarely, if ever, been displayed before, the documentary asks why so few of these artworks remained in public view after their creation and whether they represent just a fraction of the work that could be uncovered. Viewers delve into the stores and rediscover how the works of generations of artists of African and Asian descent have helped shape our history, exploring seminal exhibitions including Rasheed Araeen’s The Other Story: Asian, African and Caribbean Artists in Post War Britain, and Lubaina Himid’s The Thin Black Line, exploring black feminism.